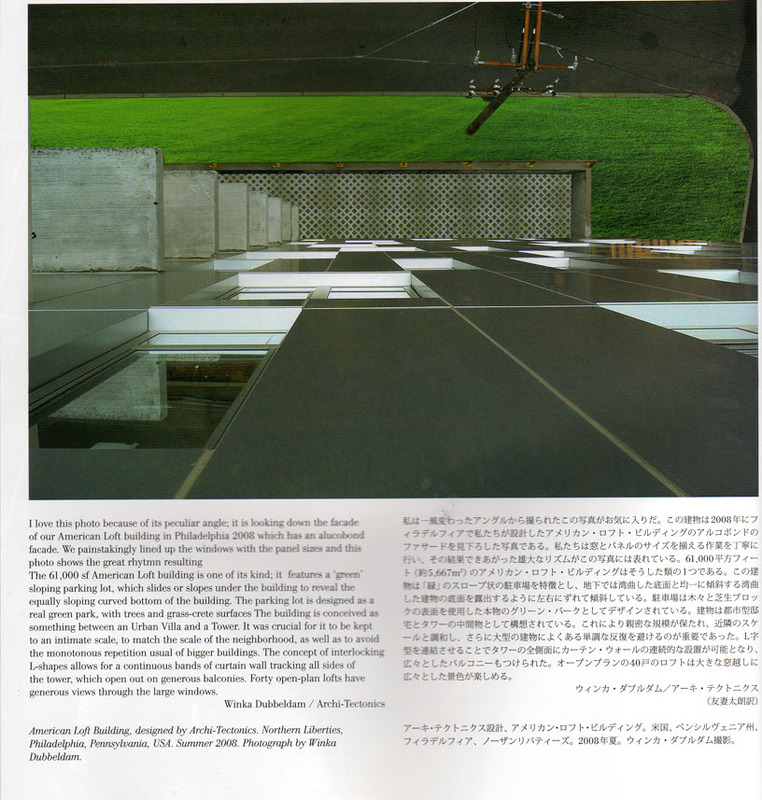 Archi-Tectonics is featured in the January 2009 issue of A+U on page 69. The issue this month is Photography/Inspriation. The photo featured is of the American Loft Building in Philadelphia, PA and a small explanation written by Winka. You are currently browsing the Archi-Tectonics Today weblog archives for January, 2009.